A full mouth rehabilitation, or “Smile Makeover,” is a combination of general dentistry, esthetic dentistry and restorative procedures that are customized to restore optimal health and beauty to the entire mouth. To restore a healthy, pain-free mouth while creating an equally healthy and beautiful smile, the jaw, temporomandibular joints (TMJs), and underlying musculature, along with the teeth and gums, will be inspected at your first appointment for a Smile Makeover. Your dentist will then create an individualized treatment plan that will address any problems. Pain and discomfort will be minimized as the individualized procedures enable all aspects of the mouth to operate in harmony. 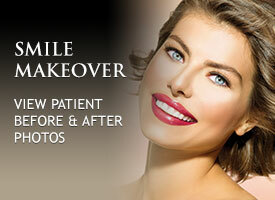 A Smile Makeover is intended to restore the entire mouth to optimal health. Therefore, Art of Dentistry Institute gladly accepts any patient whose oral health falls short of that standard. If you have pain or discomfort in your mouth or jaw area, consider scheduling a check-up appointment and inform Dr. Hawary of your concerns. TMJ Treatment – The temporomandibular joints (TMJs) are located in front of the ear on either side of the face and join the lower jaw to the skull. Many suffer from TMJ disorders that cause agonizing symptoms, such as chronic headaches and pain in the jaw, face, neck, shoulders, and even back. We at Art of Dentistry Institute can identify the source of your TMJ disorder and prescribe a treatment that can address the problem. Root Canal Therapy – When the pulp within a tooth becomes inflamed or infected, it can cause a significant amount of pain. If left untreated, this can lead to tooth loss. During root canal therapy, the pulp is removed and the remaining healthy tooth structure is preserved. Dental Crowns – Dental crowns are tooth-like porcelain restorations that are made to fit over the entire surface area of the tooth. If your Smile Makeover includes root canal therapy on one or more teeth, dental crowns will be used to restore them. Crowns can also be used to restore misshapen or severely discolored teeth, as well as teeth that are cracked, chipped, weakened, or otherwise damaged. A crown is supported by either the natural tooth or a dental implant made of titanium. Dental Implants – Dental implants are the premier method of replacing missing teeth. Titanium posts are surgically embedded into the jaw, where they provide strong, stable support for crowns, bridges, or dentures. Dental Bridges – Dental bridges literally bridge the gap between missing teeth. The bridge is made up of two crowns for the teeth on either side of the gap, and the gap is filled with false teeth called pontics. Pontics can be made from gold, alloys, porcelain, or a combination of these materials. Tooth-Colored Fillings – Dental fillings are made of a strong composite resin material. They are used to treat cavities by “filling” the area of the tooth where the decayed portion was removed. Dental fillings are also used to repair cracked, broken, worn, or chipped teeth. 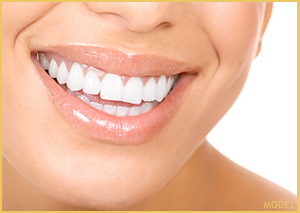 Fillings protect the healthy structure of the teeth and contribute to a natural-looking smile. Periodontal Therapy – To have healthy teeth, it is necessary to have healthy gums. As part of your full mouth restoration, your dentist will evaluate and thoroughly clean your gums in order to prevent gingivitis or its more severe form (periodontitis). If gum recession or disease has already set in, your dentist will make recommendations for more advanced treatment. Your specific full mouth restoration may include some or all of these treatments. Dr. Hawary may also integrate purely cosmetic treatments, such as porcelain veneers and teeth whitening, into your treatment plan. We at Art of Dentistry Institute want to give you the luminous and healthy smile you deserve. If you would like to learn more about how you might benefit from full mouth restoration, please call 949-955-3366 today.